BuzzFeed news reported that a study about the scientifically unproven method to stop an abortion -- championed by anti-choice activists -- lacked "formal ethical approval"
On July 17, BuzzFeed News reported that a published study about the practice of so-called abortion reversal had been pulled from a scientific journal due to ethical concerns, further proving that one of right-wing and anti-abortion media's favorite talking points is nothing more than harmful junk science. BuzzFeed News’ Azeen Ghorayshi wrote  that the study by well-known  anti-choice personality George Delgado had “been temporarily withdrawn from” the April edition of the Issues in Law & Medicine journal “because [the study] falsely claimed to have received formal ethical approval.” The study hinges on Delgado’s belief  that people seeking medication abortions can reverse the procedure by taking only the first pill required in the two-pill regime. 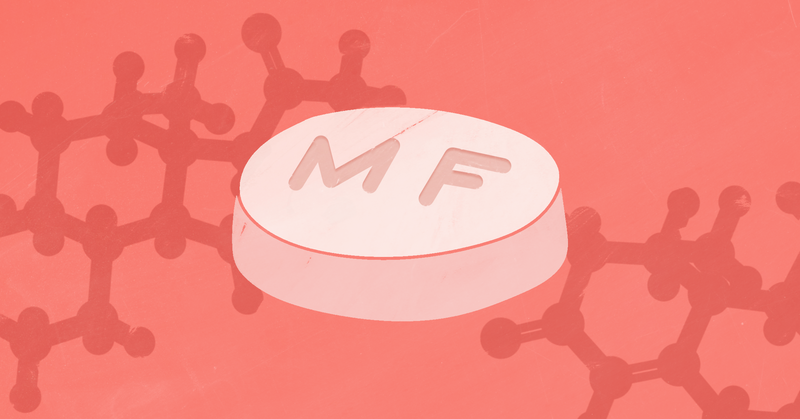 The person would then be injected with “a large dose of progesterone to—in theory—reverse the effects of mifepristone” in the first pill. To prove this theory, Delgado set up  a hotline in 2012 for people who were seeking abortion reversals and published a limited study about the procedure that same year. According to Delgado, the issue was “just a technical problem,” and that his team would “redo” the ethics review (although, as BuzzFeed noted, it’s not entirely clear how such a “redo” would work.) However, there is ample reason to believe that even if Delgado could “redo” the ethics review, the outcome would be largely the same  because of his ideological viewpoint and the proven structural flaws of his studies. Delgado’s studies in 2012 and 2018 also suffered from several technical flaws. According to The Guardian, the 2012 study was  “not done with the oversight of an ethical review committee.” Jezebel similarly reported that it also relied  on an extremely small sample size of seven cases -- and Delgado considered only four of these cases successful. Although the April 2018 study had a larger sample size, it still relied on limited case studies, which HuffPost said  are “the weakest form of scientific evidence because they lack control groups.” Newsweek further reporte d  that the study “used a wide variety of injected progesterone protocols, ranging from one to more than 10 injections of unknown doses” and did not assess previous levels of progesterone in the subjects’ blood -- further skewing the reliability of the results. In general, anti-choice extremists like Delgado are making claims about “abortion reversal” as a tactic to promote the myth that abortion is pathologically linked to regret. In reality, this idea of abortion regret or, as some anti-abortion activists call it, “post-abortion syndrome,” has been widely discredited . To debunk claims that abortion reversal procedures are widely sought by patients who regret their decision, Rewire.News’ Sofia Resnick spoke to  abortion provider Gabrielle Goodrick, who estimated “that she has seen six patients out of about 10,000 who did not want to continue their medication abortions after initiating the process” in the 16 years she has been a provider. Medical organizations have also weighed in to say that the science doesn’t back claims about reversal. The American Congress of Obstetricians and Gynecologists (ACOG) submitted  a report in August 2017 about alleged abortion reversal procedures, stating, “Claims regarding abortion ‘reversal’ treatment are not based on science and do not meet clinical standards.” The report concluded that ACOG “does not support prescribing progesterone to stop a medical abortion.” Dr. Daniel Grossman, director of Advancing New Standards in Reproductive Health at the University of California, San Francisco, told Refinery29, if a person simply decided not to take the second pill for a medication abortion, “there’s a good chance that the pregnancy would continue,” but “there’s no evidence” that injections of progesterone would work to “reverse” an abortion. Despite these issues, the junk science of abortion reversal has made its way into state laws  in Idaho, Arkansas, South Dakota, Utah, and Arizona, where abortion providers are required to inform patients seeking an abortion that there is an option to reverse it. Right-wing media, anti-abortion activists, and some lawmakers may continue to spread misinformation about the dubious efficacy of so-called abortion reversal procedures, but as BuzzFeed’s report demonstrates, the facts are piling up: This practice is based on junk science that is more likely to hurt than help.